The Camera is located in beautiful Peachland, British Columbia, Canada. ~ 380 km East of Vancouver and ~ 130 km North of the U.S. border. Okanagan Mountain Provincial Park in the background. 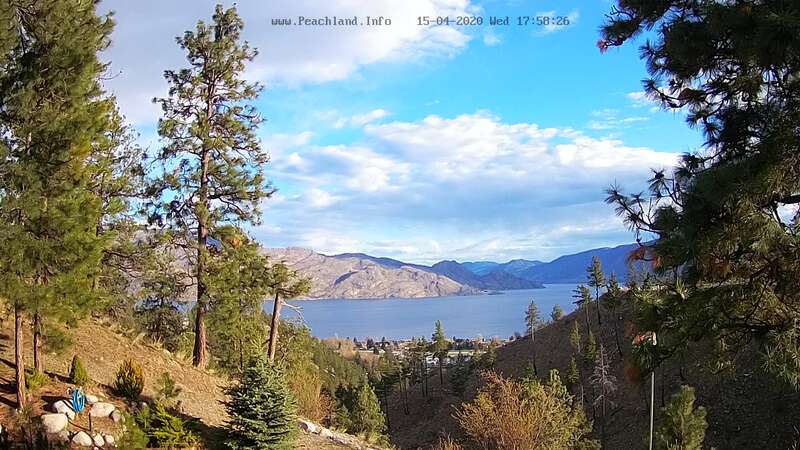 The Peachland HD WebCam is updated every 60 seconds throughout the day! Die Peachland HD WebCam liefert alle 60 Sekunden ein neues Bild! Planning on visiting the Okanagan Valley? Use this Live WebCam to check the weather before you set out. In addition, visit The Weather Network, to get a local forecast.